Lengthy ski descents of snow-covered mountains require the skier to hold a crouched position for sometimes thousands of metres, making even the calves of the most experienced racers burn ferociously. The advanced design of these Swiss X-Socks Ski Race Skiing Socks, with no less than 16 patents and technologies for stability, air conditioning and protection provide support while maintaining that all-important contact with the ski. The new Effektor footbed has cutting edge, anatomically shaped zones that send specific stimuli to the brain, instructing an increase of its production of messengers. This stimulates circulation in the foot and enhances the supply of nutrients. Active temperature regulation kicks in at 37°C to keep feet and legs comfortable, aided by the merino wool and SkinNODOR yarns, plus extensive in-built air circulation systems throughout the socks. Robur-based hollow core padding at every vulnerable point cushions you from pressure sores and shock from impacts to keep you injury-free. 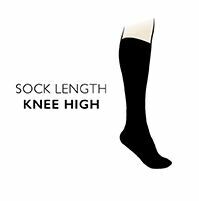 X-Socks Ski Race Skiing Socks also incorporate Aktiv-Bund non-constricting, self-adjusting cuffs and supportive X-Cross ankle bands for stability enhancement.